Everyone needs a good coaster! 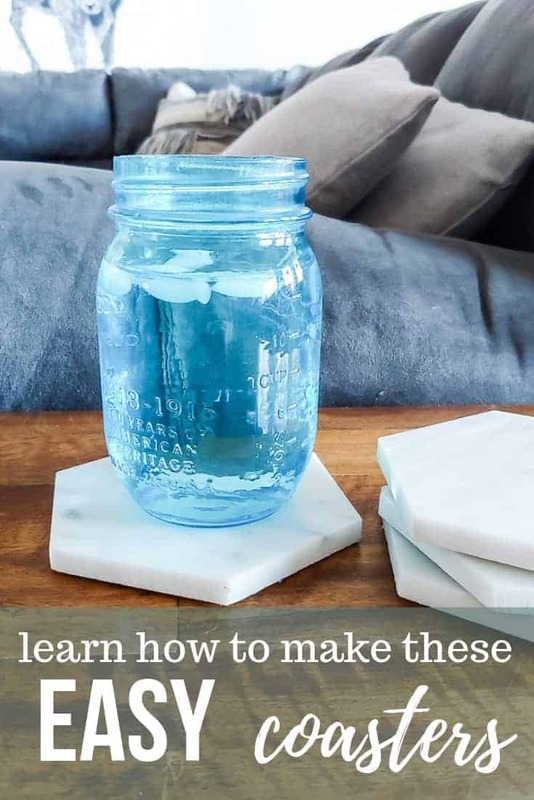 Use up your leftover tiles to make marble coasters. 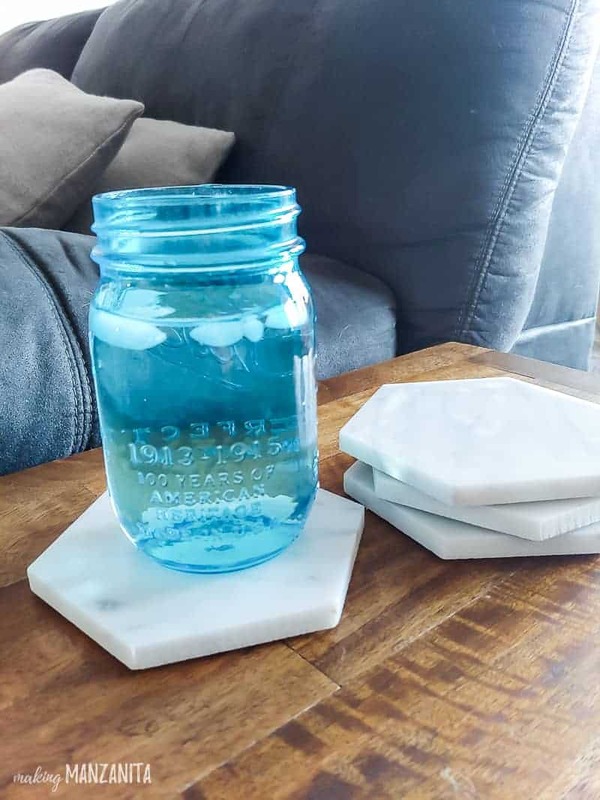 This video tutorial will walk you through all the steps to make your own DIY tile coasters! Bonus: they make great DIY Christmas gifts. Everyone needs a good coaster. For so long we’ve had a coaster collection full of coasters we’ve picked up from restaurants and bars all over the world while traveling. But those disposable coasters have seen better days. They are dirty or lost or ripped or chewed on by the dog…or the kids. Point is…we needed some new coasters. 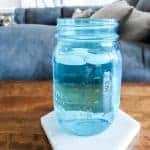 When I was staring a box of leftover hexagon marble tile from our farmhouse bathroom renovation, I knew I needed to come up with a fun DIY project for it. After thinking more about it and staring at the 4 inch hexagon tiles, they are really the perfect size for DIY tile coasters! 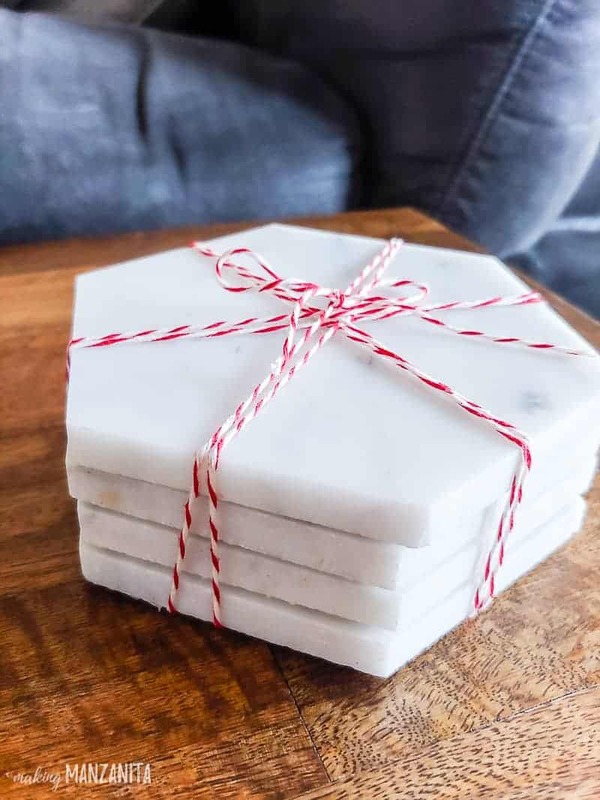 I had more than enough for us, so I decided to use them all up and make a bunch of marble coasters for Christmas gifts. 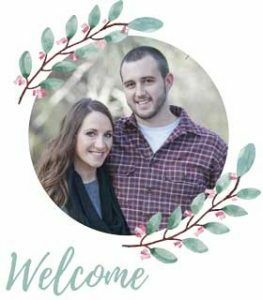 Spoiler alert to my family….you’re probably getting a set of marble coasters this year! 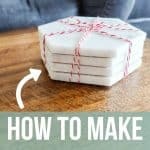 This DIY tile coasters tutorial contains affiliate links, but nothing that I wouldn’t wholeheartedly recommend anyway! Read my full disclosure here. 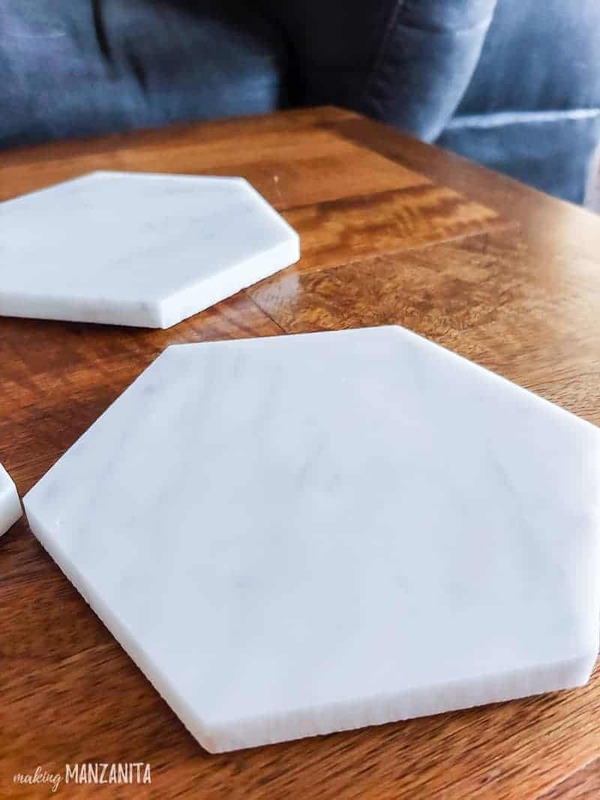 Marble hexagon tiles – we were using leftover from our farmhouse bathroom. We got ours here, but they have minimum order sizes. If you just want to get a small shipment to make DIY tile coasters, here’s something similar. I summed up this whole tutorial in a fun video for you guys. You can watch below. 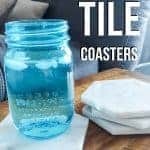 Turn your sound up because I talk you through some helpful tips for making your own marble coasters. Do you love watching videos? Be sure to subscribe to my YouTube channel so you don’t ever miss a new video. You shouldn’t need to use a tile sealer if you’re working with ceramic or porcelain tiles. However, I was use marble – which is a porous stone and needs to be sealed before use. Otherwise there would be water rings on the marble coasters. Even though I used a Sharpie to trace the tile onto the cardboard to make the template, I’d use a pencil if I were to do it again because the Sharpie left a black line on the edge of the tile. You’ll see in the video that we were using the brush applicator version of the Rapid Fuse, we figured out later that the regular applicator is a little easier to apply to the felt sheets. If all you have is the brush applicator, that worked fine too! But if you’re buying it for these DIY tile coasters – grab the regular version. After you glue on the felt backing onto the tile, wait for the glue to dry entirely before stacking the tile coasters. We found that the chemicals in the glue kind of left a mark on the tile next to it when it was stacked up if it wasn’t entirely dry. I’d play it safe a wait about a day. We were able to get the markings off with some elbow grease and mineral spirits. 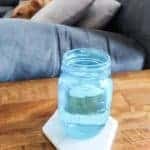 If you’re stumped on what to do with your leftover tile from renovation projects, DIY tile coasters are a great option. They are SO easy to make and they make great Christmas gifts. A bunch of my family members are getting some for Christmas this year!! I couldn’t catch the name and brand of the better scissors u used. Could you tell me again?